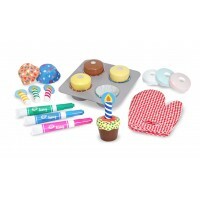 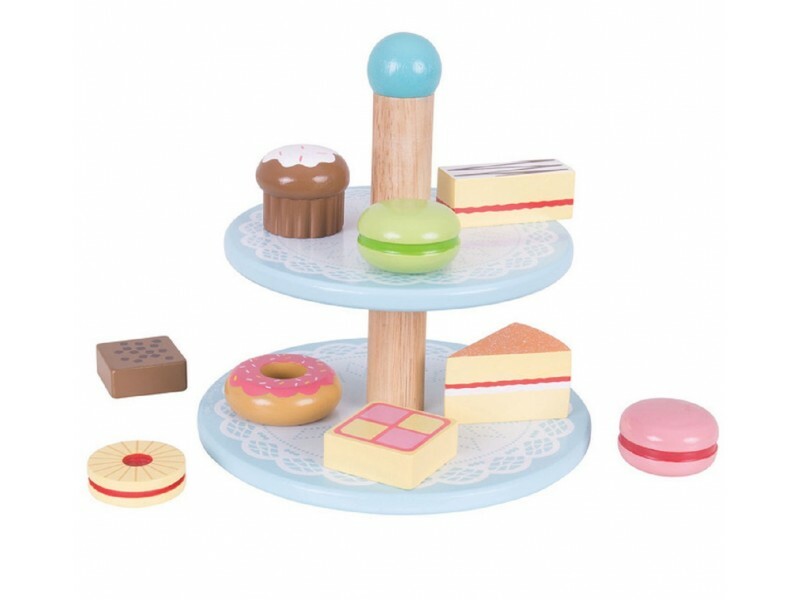 This delightful wooden cake stand with 9 tasty treats from BigJigs Toys will take pride of place in any play food collection. 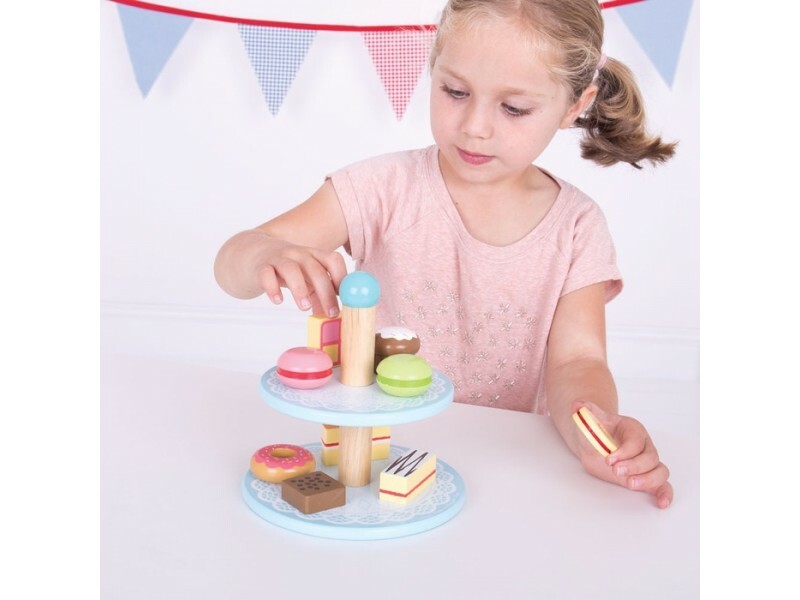 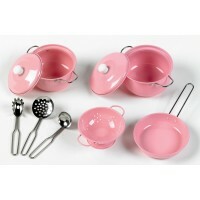 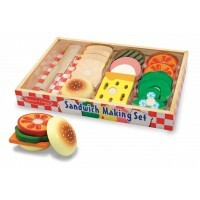 It’s the perfect gift for would-be-ladies-who-lunch or kids who love eating tasty cakes and biscuits! 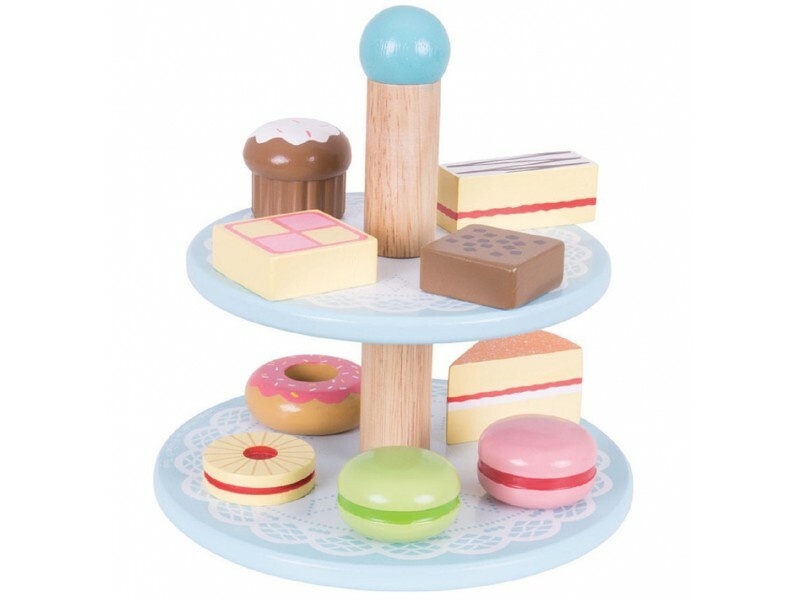 Let your favourite children serve high tea at home with this wonderful natural wood two tiered cake stand which contains nine yummy cake treats, including Victoria sponge, macaroons, cheesecake, chocolate cupcake, Battenberg and a doughnut. 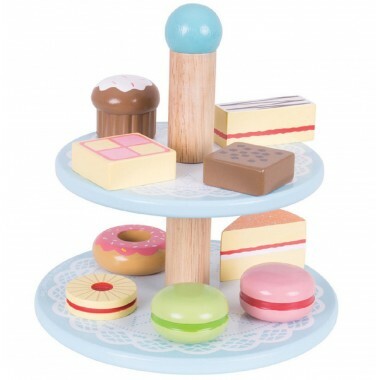 Children will adore this cake stand and its accompanying cakes. 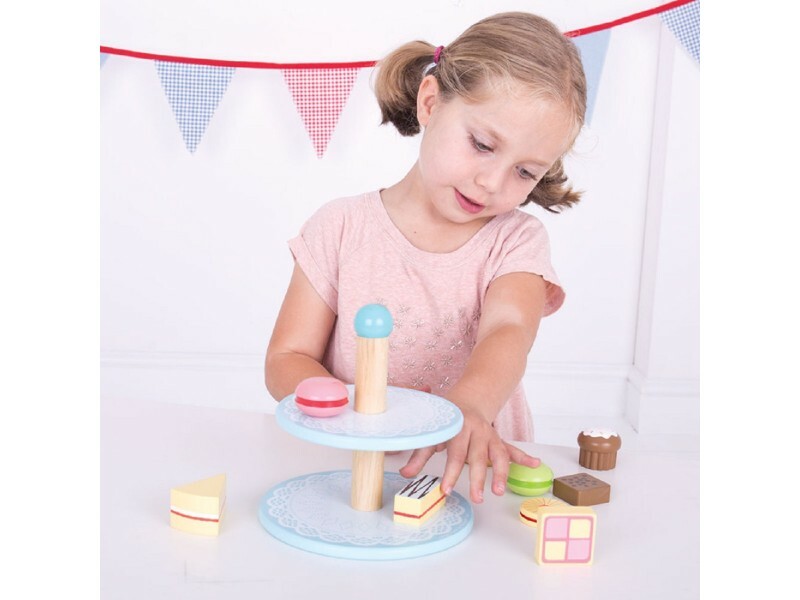 This wonderful wooden toy is perfect for role playing games, social play and even helping children to learn table manners!